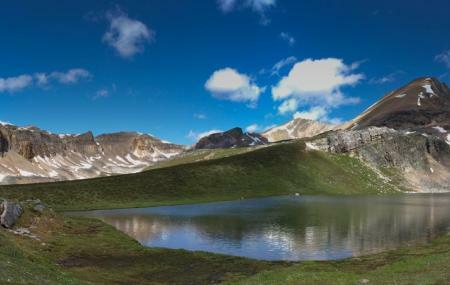 Located in Banff National Park near Bow Summi , the Helen Lake has is a beautiful hiking trail with a fantastic view of the mountain lakes, glaciers, marmots, alpine meadows streams, etc. The unique flower along the trail simply adds to the beauty of it. Expect to spot the grizzly bear during the enjoyable hike. Carry sunscreen and a camera. Wear perfect footwear for hiking. Carry an extra layer of clothing. Love this? Explore the entire list of places to visit in Banff before you plan your trip. Fancy a good night's sleep after a tiring day? Check out where to stay in Banff and book an accommodation of your choice. How popular is Helen Lake Trail? People normally club together Walter Phillips Gallery and Kootenay Plains while planning their visit to Helen Lake Trail. People also prefer to end their day with Helen Lake Trail.